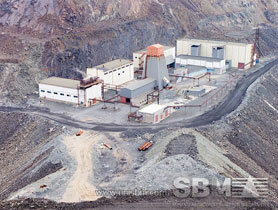 In the manganese separation process, manganese ore firstly go through crushing and grinding process. In washing and screening process, using manganese washing and screening machine to separate the different particle size and grade of the product. With the world’s famous brand names, over 30 years experience, and an aggressive product development program, we are your One Source for all manganese ore processing needs. SBM offers processing equipment that has been time tested and proven and the solutions your application requires in the manganese ore industry. SBM supplies crusher machine and grinding mill to crush and grind manganese ore into small size for strong magnetic dressing and flotation in manganese ore processing plant. SBM is ready to help you get the most out of your manganese ore application with reliable equipment and expert services. Until now, SBM has built the complete manganese processing plant In Zambia, South Africa, Australia, China, Brazil, Gabon, Ukraine, India, Ghana, Kazakhstan, Indonesia, India, Nigeria, USA, Malaysia, Canada, Botswana, Oman, UAE, Zimbabwe and Burma. "SBM manganese ore processing equipments have modular components for easy replacement and durable wear parts for less downtime."